Backflow can be a major problem for everyone. Backflow Prevention devices are seen everywhere in Phoenix, in fact, they are on every commercial property as a city requirement. Backflow Prevention devices are required on commercial properties to prevent the backflow of water back into the city system. Without these devices our city water system would be contaminated with pesticides, landscaping chemicals, and even carbonation. Backflows are installed on irrigation lines, domestic water lines and even soda machines in restaurants. Backflow Prevention devices are monitored closely, each year the city water department requires that these Backflow Prevention Assemblies are tested to ensure that they are functioning properly. Without this annual certification the city municipal will shut the water down to the building to ensure that there is no backflow from the property contaminating the city water system. There are special requirements and certifications for those companies and individuals that test and certify backflows as well as install them. Each person that tests backflows has to undergo intense training to become a certified backflow assembly tester, this certification is only good for three years, then the tester has to retest to confirm they have adequate knowledge to test and certify these backflow preventers. The equipment required to test backflows is also closely monitored, backflow test gauges are required to be calibrated and certified on an annual basis. Backflow requirements can seem extreme, but it is with good cause. If a backflow assembly fails and allows contaminates back into the city potable water system it can mean illness or even death. 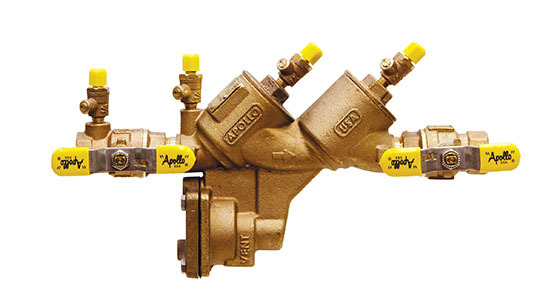 It can feel inconvenient getting the notification annually that it is time to pay for your backflow certification, know that it is truly for the greater good. In 1990 a faulty system and human error caused drinking water and antifreeze to mix in a Colorado school. This occurrence sent 8 students to the hospital and forced more than 300 students to evacuate. Stories like this can be found with a quick internet search and were the catalyst to the strict but necessary guidelines and expense of backflow prevention devices and inspection. When you need backflow prevention in the Phoenix area, contact the professional plumbers at Robins Plumbing, Inc. We’ve been providing residents and businesses owners with the best plumbing services for years, and we treat each of our clients like family. Whether you need residential plumbing services, commercial plumbing services, drain cleaning, or faucet repair and replacement, we can help. Our local plumbing company also specializes in property management, gas lines, restoration and flood cleanup, and water treatments. Don’t wait until something goes wrong with your plumbing system. Contact Robins Plumbing, Inc in Phoenix today to schedule a free estimate or service.